Futuristic design characterises Range 120. 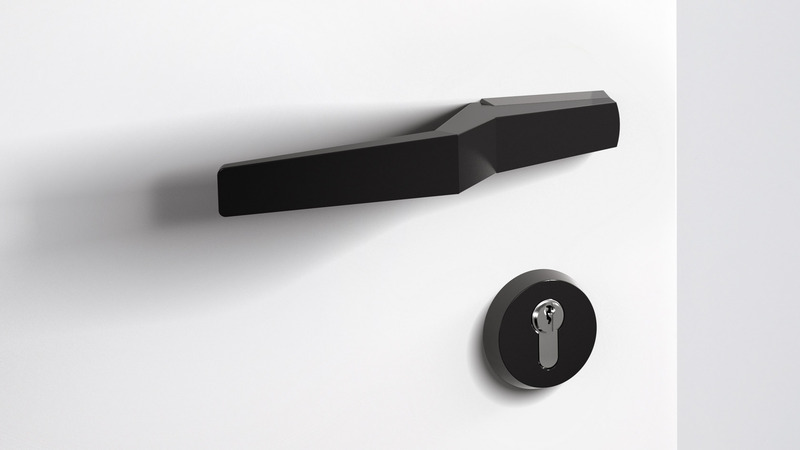 The striking style of this unusual hardware range generates an extremely appealing effect at the door. 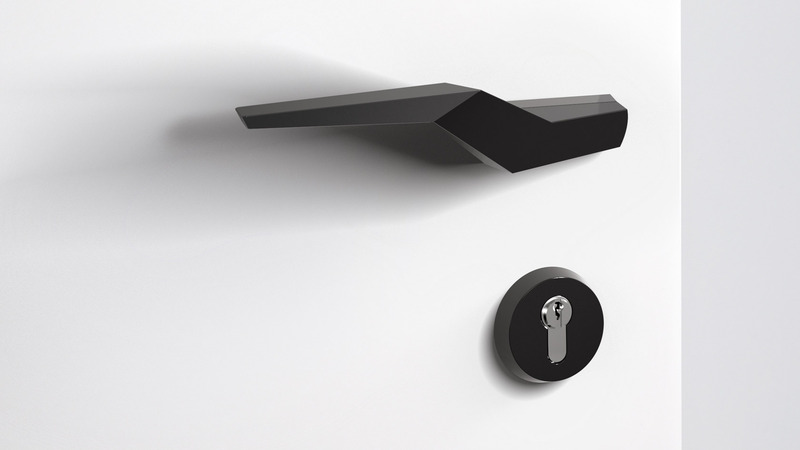 The folded silhouette of the lever handle allows dynamic lines and flowing spatial contexts to be created. The style of the lever door hand range 120 was developed together with the renowned Viennese firm Delugan Meissl Associated Architects. Range 120 integrates the usually separate rose in the neck of the lever handle. Thanks to its extravagant design Range 120 has an unusual touch. The curved lever handle is made of high-quality synthetic material. A steel core inside the handle provides added stability. 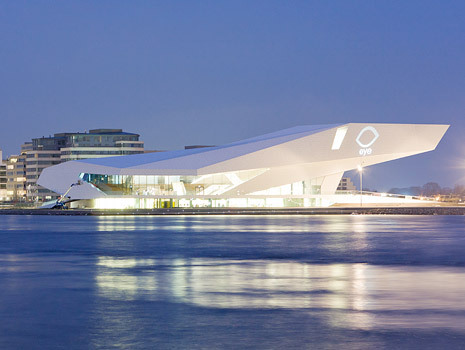 With EYE Amsterdam now has a new landmark. Angular, brilliant white and brightly lit, it sets a visible signal. 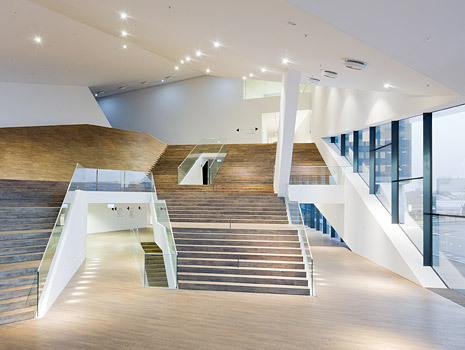 The spectacular Amsterdam film museum was designed by the Austrian firm of architects Delugan Meissl. The sculptural, futuristic building evades quick comprehension both on the inside and on the outside. Just like the sequence of images in a film, new perspectives open up again and again. The smooth, crystal-shaped structure of the external surfaces reflects the light and therefore changes the appearance of the building. The dynamism of the building is continued inside with the lever door handle Range 120 designed by the architects, which generates flowing spatial contexts.